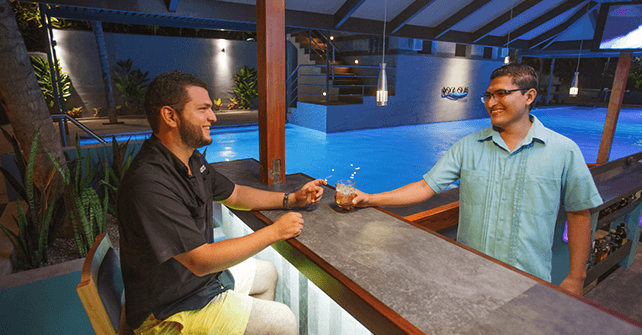 Discover our new Swim Up Bar at Boca Olas! Boca Olas is a wonderful stay! Explore our premises to the finest detail. The new standard of excellence for beach hotels in El Tunco. 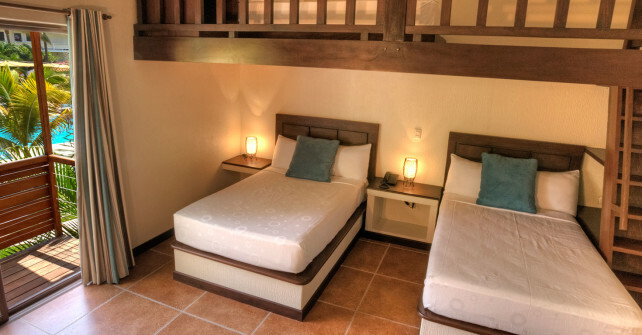 With an attentive focus on luxury and tranquility our hotel is the obvious choice for those seeking amenities, high service standards and a secure serene location in El Tunco. Our beautifully designed 22 room boutique hotel sits on the Rio Grande as it stretches to the Pacific Ocean. 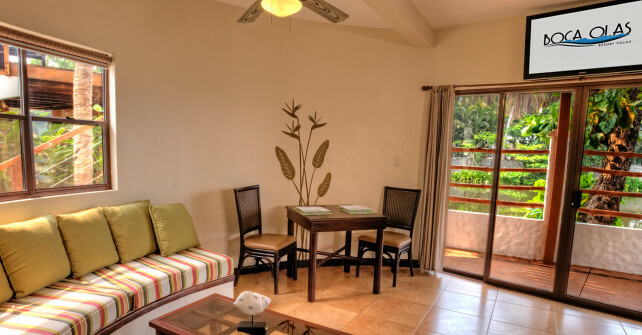 All of our contemporary villas and deluxe waterfront jr. suites host ocean views of the La Bocana surf break which is just a short 150 yard walk from the hotel. Each of our six modern villas are fully equipped with a kitchen, spacious living room, separate bedroom, closet with safe and terrace with patio furniture. Everything you need for your well-deserved beach vacation in El Salvador. Playa El Tunco on El Salvador’s’ La Libertad coast welcomes you. Our charming little beach community has long been a favorite destination of world traveling surfers seeking consistent high quality waves. However there is so much more than just great surf here. El Tunco is host to a varied assortment of restaurants, shops and bars all within walking distance of our hotel. We also offer some amazing bilingual guided tours of volcanos, coffee plantations, pristine natural crater lakes, Mayan Ruins and colonial pueblos like Suchitoto. For the thrill seeker there is paragliding, fishing charters or a.t.v tours. Whatever your preference for entertainment our hotel concierge is at hand to help arrange all aspects of your El Salvador beach vacation. 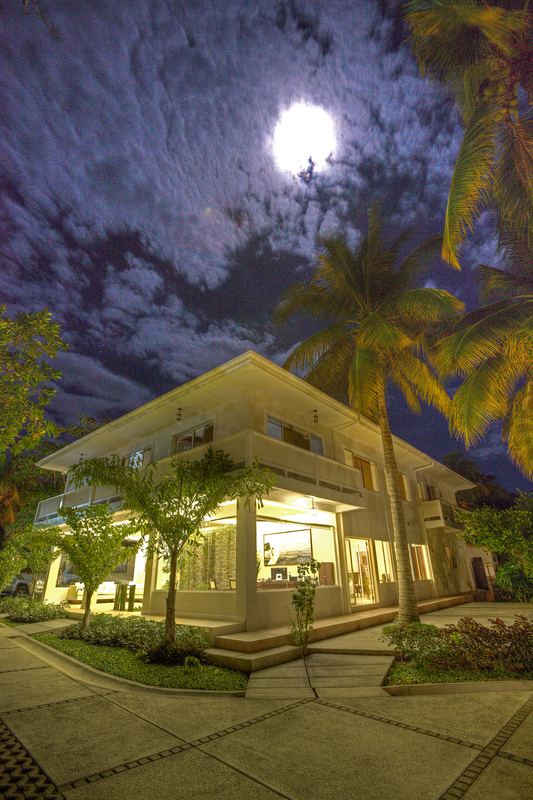 Boca Olas Resort Villas is a fully self-contained beach hotel. Our restaurant serves three meals daily exclusively to our hotel guest. Breakfast is included free with your stay. Enjoy chef prepared cuisine on your private patio while watching the waves or by our beautiful modernly designed pool. Maybe a private massage after a long day of surfing is in order. Sunset cocktails at our pool side bar are always a good idea. We built Boca Olas with an acute eye for detail to ensure the complete comfort of our guest. The kind of which that has never been available in El Tunco before. Come discover why Boca Olas is the new standard of excellence for beach hotels in El Tunco. 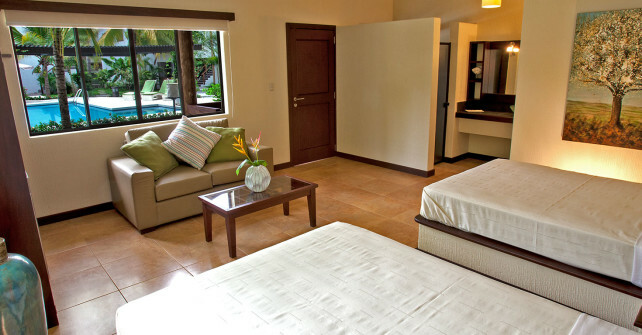 Boca Olas Resort Villas is 40 minutes from the International Airport and 40 minutes to the capital, San Salvador.